At Rain Gutter Pros, Inc., we can examine your home or business building in detail and recommend the correct size of rain gutters for you. When choosing rain gutter sizes, there are several factors to consider. For example, a house has a large, steep roof may need wider gutters and extra downspouts to avoid water overflow. When deciding what size gutters to use, first we calculate the total square footage of the gutter’s drainage area. Then, we made adjustments based on the steepness of the roof, as well as the weather climate of the area. 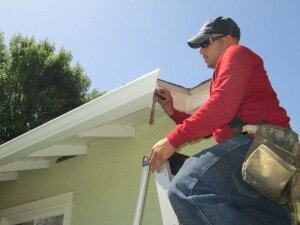 We can then make a recommendation on size, providing appropriate sizes for different styles of gutter. We can also advise regarding the number of downspouts required to provide adequate protection.